(F.A.R.M.) is a 501c3 Veterans organization that aims to reestablish meaning in the lives of veterans through agricultural therapeutic rehabilitation. Farming requires structure, regimen, hard work and critical thinking - skills that veterans unequivocally possess. 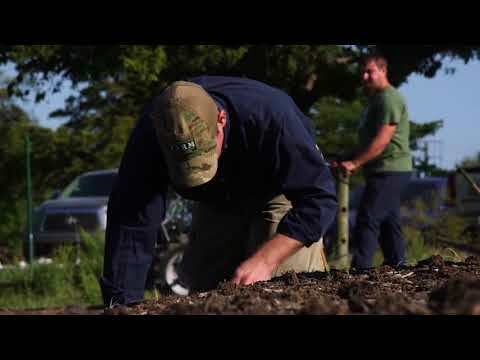 Our program allows veterans reintegrating into society to once again become teachers, providers, nurturers and leaders while empowering them to lead the change in America's distressed food system. allowing me to find my new mission. my family, my community and this organization. belonging when I first visited their facility. Yoga Nidra, which has proved successful in treating veterans with PTSD. realized that it caused me to downplay my service and even be a little embarrassed by it. confident person, as well as more effective in my civilian job. Thank you for your consideration of this wonderful non-profit organization.